For almost thirty years OSM has been building custom homes, western ranches, and light commercial projects throughout the Northern Rockies. Their commitment to sustainability, honest business practices, and superior craftsmanship has made them one of the most respected construction companies within our community. 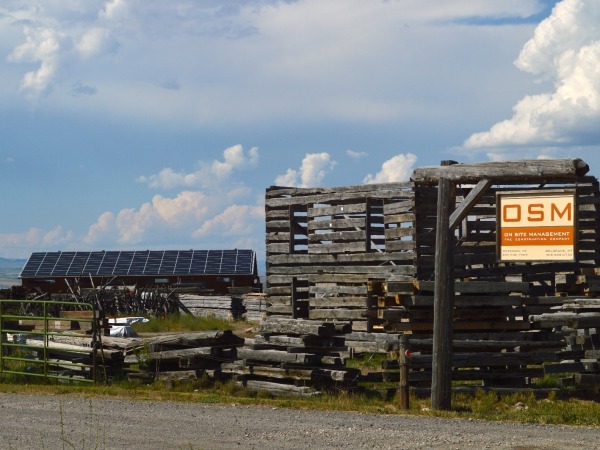 Solar Power in Belgrade, MT! 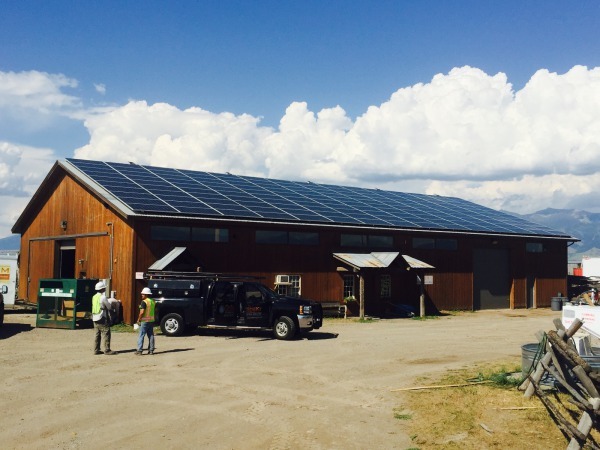 The roof of the OSM carpentry shop was seemingly made for a 50 kW solar array. 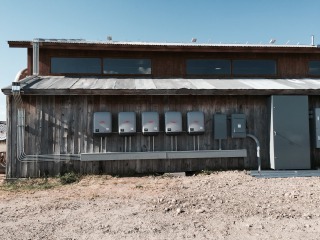 The building faces perfectly south and had just the right square footage for the specified 150 solar panels. 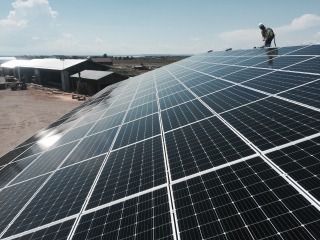 The array is electrically divided into 5 sets of 30 panels, with each set of 30 panels tied into a 10 kW inverter. Online monitoring will keep track of the system operation and performance. 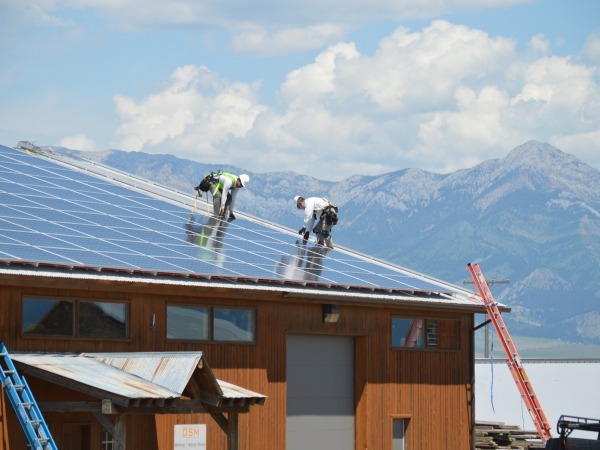 The system will produce an estimated 65,920 kWh per year which equates to $5,403 worth of electricity savings per year. After incentives, the estimated return on investment for OSM is 8 years. The 25 year energy production of the system is equivalent to planting 30,105 trees, offsetting 1,235,883 lbs of burned coal, offsetting 2,775,746 miles driven by the average passenger car, and 368 tons of waste recycled instead of landfilled. The solar panels are an American company with the panels manufactured in Toronto Canada. The solar racking is manufactured in California and the inverters are manufactured in Austria.